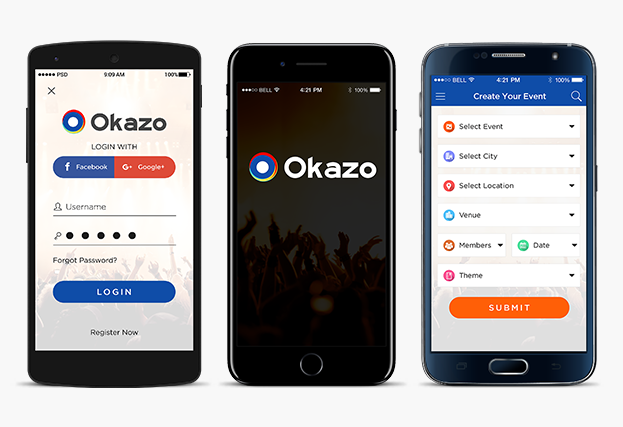 Netgains launches OKAZO – derived from the word Occasion, a platform to assist users (service seekers) to organize their events of any kind by simply putting their requirements into their smartphone app and let the app do the rest by connecting them with multiple service providers (Vendors) in their geo target area. Complete Android and iOS app development is built from concept till final app delivery for this event management application. User can check and book events happening nearby. Service seekers can submit details if organizing any Public events and once approve by admin will be shown to users to book tickets. Easy to get in touch with Admin to support for any issues.